Netfonds was established in 1997 and pioneered Internet-based, self-service share trading. 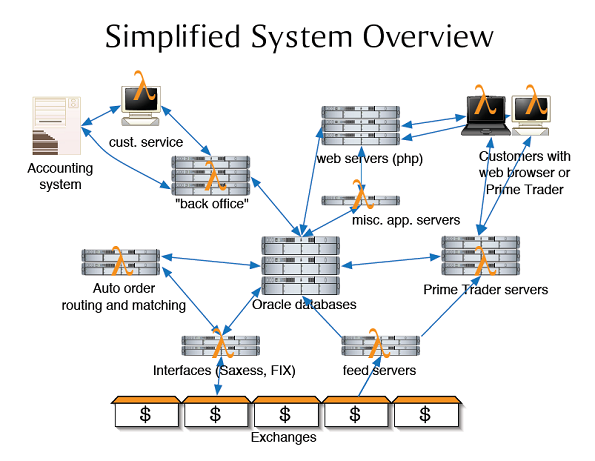 The company currently uses LispWorks for several server applications and the realtime stock trading application PrimeTrader, and has several thousand active customers. PrimeTrader successfully supports stock trading at the stock exchanges of Oslo, Stockholm and New York. It uses LispWorks/CAPI on Windows, Linux and Macintosh, employing LispWorks' strength as a cross-platform Lisp GUI. LispWorks is also put to use in a large number of server-side and "back office" applications inside Netfonds, including realtime interfaces with stock exchanges and banks; automated share, money and tax management facilities; risk management functions, and news feeds. "We use LispWorks because it's a stable tool with a clear and simple license agreement, it delivers cross-platform, and there's reliable technical support." says Netfonds' Espen Vestre. The result? "Happy customers and happy system administrators!" adds Espen.